In my last article on Violence in the Old Testament, I noted that atheists ignore the context in which the stories of violence occur. This context is a context of grace. In particular we looked at the Conquest of Canaan, a bone of contention with nonbelievers, and we surveyed the immediate context of the Conquest found in the books of Deuteronomy and Joshua and offered some responses for those who claim the Conquest is evidence of a genocidal, xenophobic god. In this article we will widen our scope by looking at the beginning of the Conquest story which has its roots in God’s promise to give Abram the Land of Canaan. The story of God’s promise to give Abram the Land of Canaan is birthed in a context of grace. According to Genesis 12:1, God calls Abram to go “to a land that I will show you,” and proceeds to make 7 promises to him (Gen. 12:2-3). These promises are underscored by one of the keywords of Genesis: “bless.” In fact some form of the word “bless” occurs 5 times in these two verses. God’s purpose in calling Abram is summed up by the well-known promise, “And in you all the families of the earth shall be blessed.” Notice that this promise does not exclude the Canaanites. 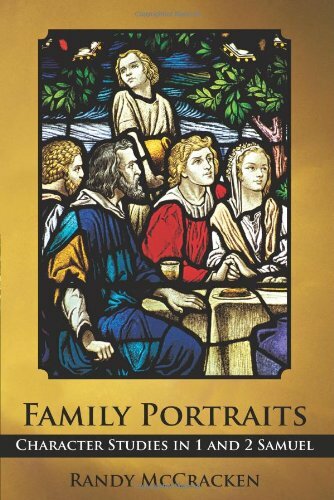 The promise is not “all the families of the earth” except the Canaanites! Abram and his descendants are God’s chosen vessel(s) to bring blessing to every nation. In Genesis 13:14-17, God specifically promises Abram the Land of Canaan. This promise is reiterated in Genesis 15:18-21, clearly marking out the land and peoples involved. The obvious question is, “Perhaps this context of grace is good news for the later Israelites, or other nations, but how can the promise to give Abram and his descendants the Land of Canaan be good news for the Canaanites?” I will seek to answer this below, but before doing so, there is another important detail that needs our attention. A few verses earlier in Genesis 15 God tells Abram that neither he nor his descendants will possess Canaan immediately. In fact 400 years will pass before Canaan becomes the possession of Abram’s descendants (15:13-16)! There are three aspects of this declaration that are important for us to consider. First is the shocking revelation that Abram’s descendants will suffer affliction and slavery in a foreign land. I doubt that this sounded like “good news” to Abram. An important biblical truth evidenced here and seen throughout Scripture is that election involves rejection. Atheists misunderstand the biblical concept of election (and so do some Christians). They accuse the God of the Old Testament of being arbitrary and showing favoritism. God’s election is likened to the negative human fallibility of favoring certain people over others due to racial prejudice or some other superficial standard. God’s choices are considered fickle and capricious. Once again, this is to remove the idea of election from its context of grace. As Genesis 12:1-3 demonstrates, God chooses some in order to bless all. Furthermore, God’s chosen are not exempt from hardship, but often endure misunderstanding and rejection. Strangely, it is through the suffering of the elect, that God not only redeems them, but others. 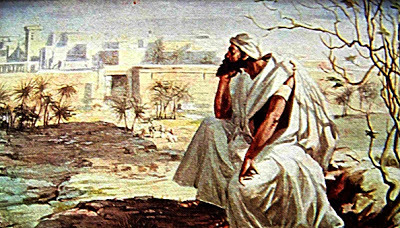 Joseph is one example in the Old Testament (among many others), while Jesus is the supreme example of this truth (the suffering Servant of Isaiah 53). Receiving the Land of Canaan then will not be an easy journey for Abram or his descendants. Second, neither Abram or his descendants will be given the land immediately. God says there will be a 400 year waiting period! This waiting period demonstrates God’s justice and recognition that the land currently belongs to the Canaanites. He will not dispossess them without providing examples of how they should live, and warnings of coming judgment. The patriarchs, although far from perfect, become a living sermon to the Canaanites of the power and faithfulness of the God of Abram, as well as setting an example of worshipping the true God. Abram constantly sets up altars to the true God wherever he goes (e.g., Gen. 12:7, 8) and worships Him publicly (this is the meaning of the expression to “call on the name of the Lord” – e.g., Gen. 13:4). This same example is followed by Isaac (Gen. 26:25) and Jacob (Gen. 35:2-3, 7). Furthermore, God’s blessing on the patriarchs, as well as His protection of them (even when they don’t deserve it! ), provides evidence that He is the true God and faithfully keeps His promises (Gen. 14:19-20; 21:22-23; 26:28-29; 31:29, 42; 35:6). God’s judgments are also intended to turn people from idolatry to worship of Himself. This is not only true in the book of Genesis, it is the major reason behind the ten plagues in Egypt (along with freeing the Israelites). 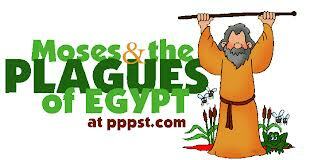 The constant refrain found in the plague narrative is “then you/they will know that I am the Lord (Exod. 6:7; 7:5; 8:10, 22; 9:14, 16, 29; 10:2). Through the plagues all the false gods of Egypt are revealed for what they really are, and even Pharaoh’s court magicians realize the power of God (Exod. 8:19). The judgments were necessary because people do not easily give up well-entrenched beliefs and practices even if they are false. A visible demonstration of the power of the true God was actually a gracious revelation. It was the only way to break through centuries of false worship and belief and, according to Exodus 11:3, it made an impact on the people of Egypt. Furthermore, the plagues on Egypt and the crossing of the Red Sea became another witness to Canaan and the surrounding nations that Israel’s God was the true God (Exod. 15:14-15). These events not only brought fear on the Canaanites, but as we saw last week, led to the repentance of some and the worship of the true God (Josh. 2:10-11; 9:24). Centuries later even the Philistines would recall these events and realize the power of Israel’s God (1 Sam. 4:7-8; 6:5-6). This brief survey clearly shows that the Canaanites had ample positive and negative witness for believing in Israel’s God. Therefore, when the Conquest began, they had been given plenty of time and witness. Third, the statement, “For the iniquity of the Amorites is not yet complete” (Gen. 15:16), reveals the patience and mercy of God which is attested elsewhere in Scripture. The statement reveals that the Canaanites (referred to hear as “Amorites”) were already a wicked people. Yet in spite of that, God was not willing to simply hand over the land to Abram. God would wait. Although this statement is a warning of impending judgment, it is also a statement of amazing grace and reveals a consistent quality of God’s character evidenced throughout the Bible. The point I want to emphasize here is that God always announces judgment in advance and allows the opportunity for repentance. This characteristic is not evidence for the bullying, capricious god that the atheists like to portray, but rather of a patient God who would rather see repentance than destruction. Jonah knew the context of grace and he was none to happy about it! God’s statement in Genesis 15:16 has similarities with the words he sends Jonah to proclaim to the Ninevites: “Yet forty days, and Nineveh shall be overthrown!” (Jonah 3:4). This statement sounds like judgment is inevitable but notice two things. First, God allots a certain period of time before judgement will fall. He does not bring it unannounced. Second, as the book reveals, the reason God waits is in hope that the people will respond in repentance, which they do! (Jonah 3:6-9). As a result, God reverses His decision to judge and shows mercy (Jonah 3:10). We learn in Jonah chapter 4 that this was the real reason Jonah didn’t want to go to Nineveh. He knew how gracious God was and he quotes the words revealed to Moses long ago about God’s merciful nature (Jonah 4:2; see Exod. 34:6). The problem with Jonah was that, unlike God, he was prejudice and he wanted this hated enemy of Israel destroyed. Therefore, he didn’t want to preach a word of judgment to them because he didn’t want them to have the opportunity to repent and be saved from destruction! This story clearly illustrates the same point as the Conquest of Canaan. God does not judge people because of prejudice, but because of sin. “The iniquity of the Amorites is not yet complete” demonstrates that God’s judgment has nothing to do with ethnicity (as I established in the last article) but with sin. God’s reason for waiting 40 days or 400 years is for the purpose of giving people an opportunity to change and repent. The Canaanites who did repent (like Rahab) were saved, those who didn’t experienced a judgment that was long overdue. This same truth is emphasized in two other prophetic texts that are important to mention. In Ezekiel 18:30-32 God pleads with Israel and says, “‘Therefore I will judge you, O house of Israel, everyone according to his ways,’ says the Lord God. ‘Repent and turn from all your transgressions, so that iniquity will not be your ruin. '” God concludes by telling Israel He finds no pleasure in anyone’s death, but desires repentance so that they might live. Notice that, although the Lord proclaims judgment, it’s repentance that He really desires. The prophet Jeremiah relates this same principle and he does it in a way that reminds us of the story of Jonah. In Jeremiah 18 the prophet visits the house of a potter and learns an important lesson from the Lord. The verses that particularly concern us here are Jeremiah 18:6-10. 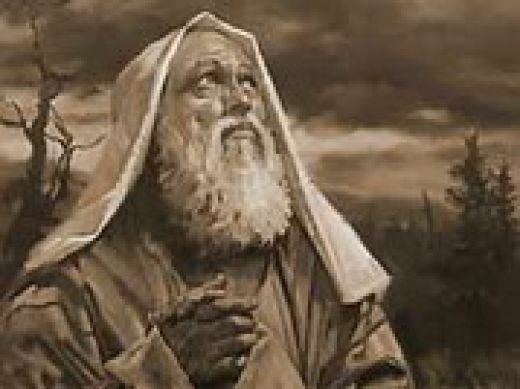 God tells Jeremiah that when He speaks a word of judgment, if that nation repents He will “relent of the disaster” that He thought to bring upon it (Jer. 18:8). Similarly, if God speaks a word of blessing on a nation but the people turn from Him, He will relent concerning that word of blessing (Jer. 18:10). The New Testament also confirms that God delays judgment in hopes that people will repent. 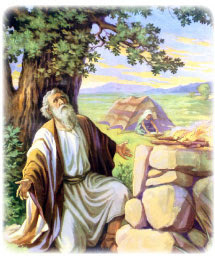 2 Peter 3:9 states, “For the Lord is not slack concerning His promise, as some count slackness, but is longsuffering toward us, not willing that any should perish but that all should come to repentance.” The Bible reveals a remarkable consistency in testifying to the redemptive nature behind God’s announcement and execution of judgment. Therefore the new atheists and other skeptics do a great injustice to the biblical message when they ignore the context of grace in which these words of judgment occur. In conclusion, to be true to the biblical account, it is important to maintain the context of grace. At the heart of God’s selection of Abram (Abraham) and Israel is a desire to bless all nations. Through the positive example of worship of the true God and revelation of His will (by His Word), God seeks to draw all people to Himself. Warning of judgment, as well as the execution of judgment, is necessary when people refuse God’s gracious invitation by continuing in their sin. This is why even the Conquest of Canaan was both good news and bad news for the Canaanites. It was good news for people like Rahab, Uriah the Hittite (2 Sam. 11 – whose name means, “Yahweh is my light”), and Araunah the Jebusite (2 Sam. 24), foreigners who served the living God and were incorporated into the people of Israel. But it was bad news for those who hardened their hearts and continued in their rebellious ways. Some will object and say that it is unreasonable for God to bring judgment on people who don’t want to follow Him. Why must they receive judgment? Why can’t God just “live and let live?” We will examine these questions in our next article on Violence in the Old Testament. 7/6/14 Thanks Randy for the study. It is opening up my eyes to know God as consistently giver of grace OT, NT, and now. I know I tended to think of Grace as more as the NT God and did not look at God as grace given in the OT. It is easier for me to just accept that in the OT God can judge whoever he wants for whatever he deems fit as HE is God and that is final despite those who don’t understand. But if I do that, then I miss out on the characteristics of God in the OT and for this study the grace of the OT. This study of the context of grace and violence in the OT has opened up my eyes so much and I am seeing or being more attentive to grace much more than I was previously. The God of the OT is the God of the NT and God’s grace is consistent and by studying grace in this context, it is easier for me have a better look at the ways of God and hopefully be better able to discuss violence in the OT in the context of grace should this need arise. I’m glad the study is blessing you Bill. This is why I love the OT! I hope your building a book here, it would do vary well. Thanks Robert. I’d have to do a lot more research to turn this into a book, but who knows, maybe one day! God bless. Finally got round to reading some of your web stuff, just like the book loving it!! Thanks for the encouragement Steve. God bless!